The Crowne Plaza Phoenix's Sky Harbor International Airport Hotel is one of the premier properties when traveling to the Phoenix Arizona area. Winner of the 2005 Lodgian Renovation of the Year Award, the Crowne Plaza Hotel Phoenix Airport Hotel is a 299 room hotel that is conveniently located near the Baseball Spring Training fields and 5 minutes from the Phoenix Arizona airport with complimentary 24 hour shuttle service to and from the Sky Harbor International airport . The Crowne Plaza Phoenix Airport Hotel also features our new restaurant the Phoenix Bistro and Grill, the newly remodeled Vertigo Lounge, and Barnie's gourmet coffee and pastries! For our guests' convenience we also have a 24 hour business center and an 24 hour on-site fitness room, heated outdoor pool and whirlpool. 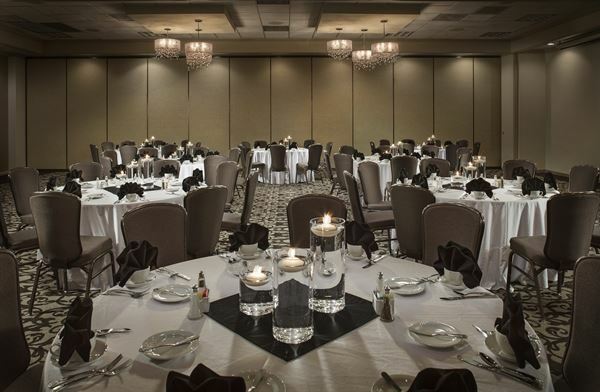 In addition, the Crowne Plaza Phoenix Airport hotel has newly renovated meeting facilities that can accommodate over 1,000. We look forward to seeing you the next time your travel plans include Phoenix, Arizona. The Crowne Plaza Phoenix Airport Hotel is just minutes away from Downtown Tempe, Home of Arizona State University / ASU, Honeywell, Avent, Wells Fargo, General Electric, Intel, University of Phoenix, Boeing, and just 3 miles from downtown Phoenix, 6 miles from Old Town Scottsdale & Phoenix International Raceway .